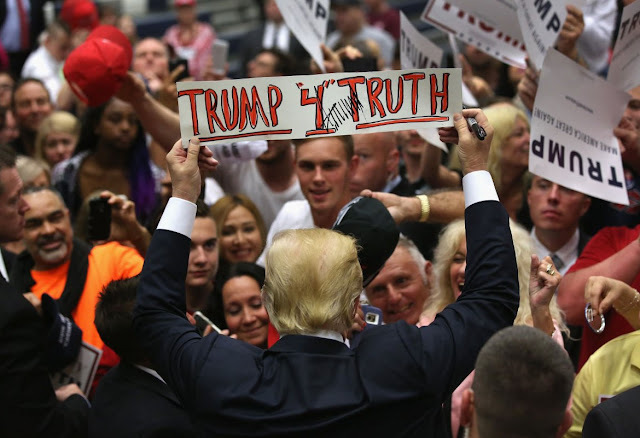 "Trump "4" Truth" but where the Truth is? VietPress USA (Jan. 30, 2019): The leaders of top national intelligence agencies released their annual report on worldwide security threats, challenging many of Trump’s false talking points. President Donald Trump immediately on Wednesday unleashed a stream of insults at the nation’s intelligence officials after they published a report directly contradicting some of his most frequent false claims about foreign policy. The leaders of top national intelligence agencies released their annual report on worldwide security threats, challenging many of Trump’s false talking points. President Donald Trump on Wednesday unleashed a stream of insults at the nation’s intelligence officials after they published a report directly contradicting some of his most frequent false claims about foreign policy. Trump’s string of tweets came after the leaders of the top national intelligence agencies on Tuesday released their annual report on worldwide security threats. The report challenged many false talking points frequently made by the president, who is known to not read his regular intelligence briefings, preferring to receive important information from Fox News, his favorite cable news network. The report also detailed Russian efforts to interfere in U.S. elections, as well as the threat of climate change on national security. Trump has taken Russian President Vladimir Putin’s word over that of his own intelligence officials’ conclusion that the country’s government interfered in U.S. elections, amid the ongoing investigations into whether his 2016 campaign colluded with Russia. The president has also falsely propagated the conspiracy theory that climate change is a hoax.